Steven Clerima, the Head of Delegation for France, has stated in an interview with Tele Loisirs that a televised selection for Junior Eurovision isn’t likely currently. We want to make Eurovision an event in France, which is not only focused on the final of May. The brand “Eurovision” is a strong brand of France Televisions. We want to make it live all year. And that goes through the Eurovision Junior. I was very inspired by Spain who won the Junior in 2004, with Maria Isabel, and who represented her in the selection competition last year. I would dream that in four years, when she will be 16 years old, Angélina participates in Destination Eurovision and why not at Eurovision. It might interest her. The Eurovision Junior is also a way to rejuvenate Eurovision itself. We realize the enthusiasm of young audiences on social networks for this brand, while it was considered unattractive in previous years. Yes, I think the UK is interested. We talk a lot about it with the other Big 5 countries . And I think that the participation of France, in the same way as that of Italy, arouses the interest of other countries … I would dream that we reach the 25 participating countries. The selection process hasn’t stopped yet. But I want the artist selection to be an event, maybe without going to a televised contest. I don’t know yet how it’s going to play out, but we’ll eventually do it at some point down the line. 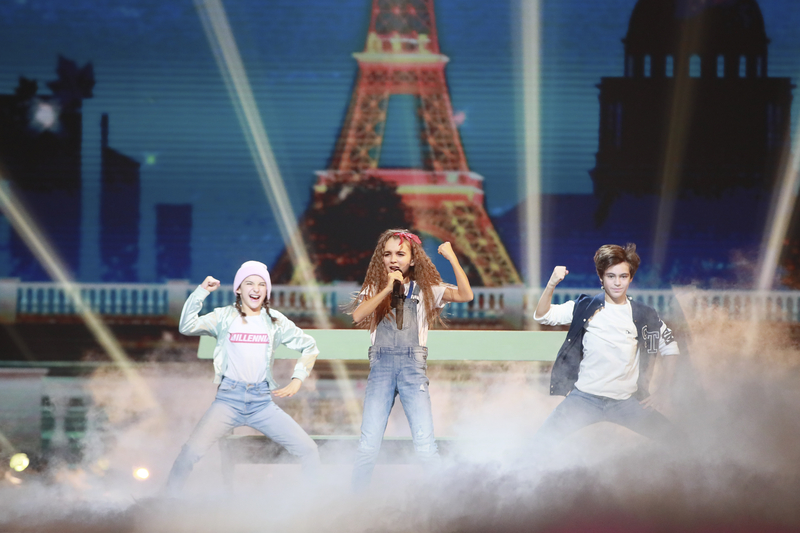 France 2 has already confirmed that they will take part in the 2019 edition of the Junior Eurovision Song Contest. The country returned to the contest in 2018 after a 14 year break, and were represented by Angélina and her song “Jamais Sans Toi”. The country finished 2nd overall with 203 points.